We’ve launched the latest in kid’s technology, the MyMovementBuddy! All MyFirstGym programs and classes are designed to be used in conjunction with the innovative MyMovementBuddy technology, which kids can wear in and outside of class. The system allows parents and kids to track their movement and reach goals in a way that is rewarding and fun. Kids are encouraged to clock up their movement score each day, and can watch their real-time score updating on in-class screens to bring about friendly rivalry amongst their classmates. MyMovementBuddy gives your child the ability to strive for greatness by setting and achieving goals. 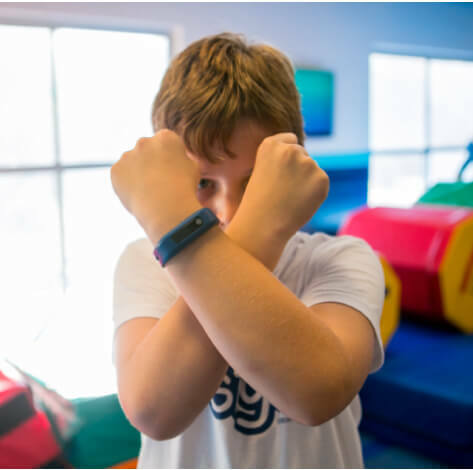 Through wearable technology and the MyFirstGym app your child can track their movement’s points and receive virtual Gold, Silver and Bronze medals. These virtual medals will keep on building over the course of the year and give your child and enjoyable incentive to push themselves within their classes.